Instant cameras are fun . Instant cameras are fun. We're glad Polaroid brought them back. There are new instant cameras on the market, like the sleek-yet-nostalgic Polaroid Originals OneStep 2 Viewfinder. It has a high-quality lens, a powerful built-in flash, and a long-lasting rechargeable battery. The built-in viewfinder makes it easier than ever to frame the perfect shot. Classic styling pays homage to the original Polaroid OneStep, which debuted in 1977. The camera is compatible with Polaroid Originals instant film. 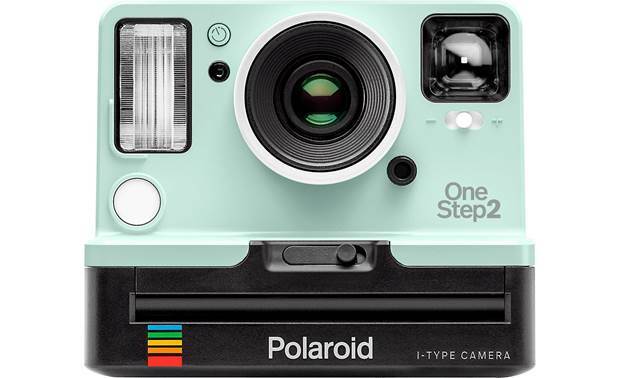 The OneStep 2 is inspired by Polaroid's old-school OneStep camera, which debuted in 1977. The Polaroid OneStep 2 lets you capture a moment and share it with friends without huddling around a rectangular smartphone screen. Sometimes the old ways are still the best. 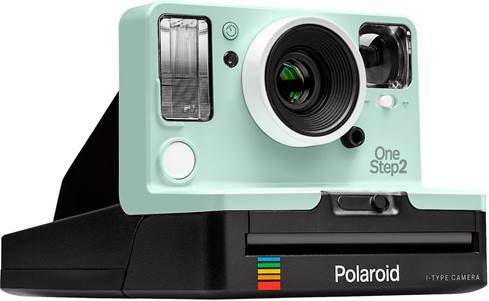 Overview: The Polaroid OneStep 2 is a new instant camera with the classic style of the vintage Polaroid cameras. The OneStep 2 is easy-to-use, with a rechargeable battery, built-in flash, and a high quality lens. Polaroid i-Type instant film is optimized and recommended for the OneStep 2. You can also use Polaroid 600 film. Both film types come in color and black & white varieties. Note: No film is included with the camera. Polaroid Originals: When Polaroid announced in February 2008 that they would no longer manufacture film for Polaroid instant cameras, the Impossible Project was born. A few months later, Impossible purchased the production machinery from the last remaining factory before it closed down. Since the original formula was no longer available, the company had to reinvent instant film from scratch. The Impossible Project has evolved into Polaroid Originals, a new brand from Polaroid. It has introduced a brand new Polaroid instant camera, the OneStep 2, with a new generation of instant film. Polaroid Originals also supports the vintage Polaroid camera formats with new black & white and color film. 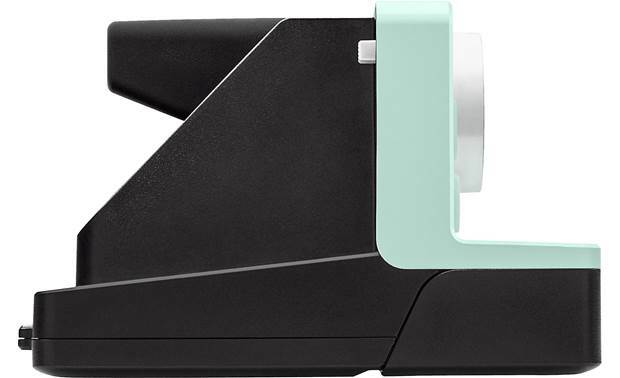 Design: The Polaroid OneStep 2's design is based on the original OneStep camera from 1977. It features a polycarbonate and ABS plastic outer shell, and coated, optical grade polycarbonate and acrylic lenses. This version features a newly improved viewfinder to help you frame your photos. For low light situations, the camera has a vacuum discharge tube strobe flash system. The camera uses a custom-designed, precision step motor for the shutter mechanism. There is a 1/4" threaded tripod mount on the base of the camera. Viewfinder: The camera has a traditional optical viewfinder placed on the right side of the lens barrel. The viewfinder has an extended viewfinder barrel, compared to the 2017 version of the OneStep 2 for easier viewing. For best results, you should use your right eye to compose your photographs. When your subject is between 2 and 4 feet away, you will need to adjust your aim to properly center your subject. This is because the viewfinder is placed above and to the right of the lens. Exposure: The OneStep 2 has a light meter on the front panel beside the lens to set the exposure, based on the amount of ambient light on the subject. If needed, you can adjust the exposure by using the lighten/darken switch below the viewfinder. The camera's exposure values are adjusted +1/2 EV lighter or darker when you use the switch. With the button in the center position, the camera uses the metered exposure for the photo. Self-Timer: You can take self-portraits with the OneStep 2 by utilizing the Self-Timer. When the Self-Timer button and shutter release have been pressed, you have approximately 8 seconds to place yourself in the framed shot. The Self-Timer button will blink to count down the seconds until the photo is taken. In bright or sunny environments, the flash will fire a series of low-power flashes. The flash will always fire with the Self-Timer, unless it's overridden ahead of time. Film Counter: On the top of the camera are eight small LEDs to indicate the number of photos left in the film pack. 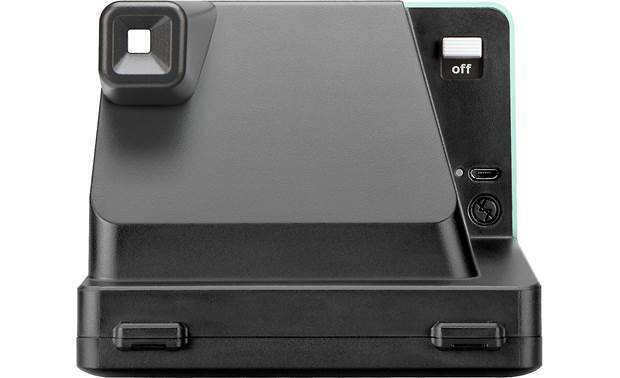 Polaroid film packs hold eight photos, and each time a photo is taken, one LED goes out. Battery: The OneStep 2 is equipped with a 3.7-volt, 1100 mAh Lithium-Ion rechargeable battery, which charges via a Micro USB cable in approximately two hours. A fully-charged battery has enough power for 15-20 film packs (120 to 160 photos). You can check the battery status by turning the unit off, then back on, while pressing the Self-Timer button. The remaining battery status is displayed on the 8 film-counter LEDs on the top of the camera. If 6 LEDs are lit, that means that the camera has 6/8 (75%) of battery charge remaining. As battery life gets low, the camera's flash charge LED will change color. Between shots, as the flash recharges, the LED will flash green (enough charge for at least 2 film packs), orange (enough for 1 film pack), or red (battery exhausted). Dimensions: Width 4.364", Height 3.801", Depth 5.87"
Are pictures color and black and white?